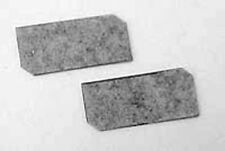 Leica nickel shutter ring collar guard for early 1 2 3 Standard. Custom Petrakla film take up spools for Contax I, II, III, IIa, IIIa (1 spool). Miranda F with Soligor Miranda 1:1.9/5 cm Lens. Made in Japan. In as found condition, as you see it in the photos. (Check all photos). The Compur Rapid shutter fires but I would doubt it is accurate. 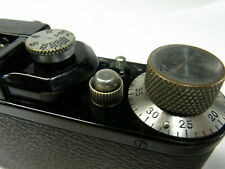 The normal shutter trigger at base of lens board is not working but the shutter can be fired by using trigger below the lens. Leatherette is peeling on corners in front. Which is pretty often. Untested unit in very good visual condition. Lens is in good order, clean and the aperture operation is nice and smooth. In as found condition, as you see it in the photos. VINTAGE POLAROID SUN 660 AUTOFOCUS CAMERA - Tested & Working - Excellent Cond. Canon EOS Elan II 35mm Film Camera - TESTED - 9.5 out of 10 Condition! Vintage Bolsey Model C22 Twin Lens w/ Wallenasak 44mm 3.2 35mm Film TLR Camera. Shipped with USPS Retail Ground. Modèle REGENT. ---------------------- ANCIEN APPAREIL PHOTO KODAK --------------------. Avec sa housse d'origine en cuir. POLAROID PHOTO ID CAMERA FOR DRIVERS LICENCES ETC. VGC. 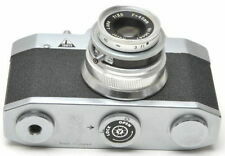 Collectors find many types of old-school cameras. While some collectors choose units to sit on a shelf because of their aesthetic appeal, many others choose working options that allow them to have fun using the camera for photography. 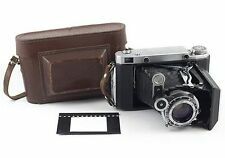 People looking to start a collection of vintage cameras can find numerous options from many different brands including Nikon, Kodak, Olympus, Leica, Fujifilm, Canon, and Polaroid as well as many different formats. What is a Daguerreotype camera? While the first pinhole camera, called the camera obscura, was invented in about 1500, it was not until daguerreotypes were introduced to the public in 1859 that people could make their living as photographers. In the intervening years, people did not know a way to make photos permanent, but a few photography units existed with the images disappearing shortly. Daguerreotypes took pictures on metal plates that were then processed in mercury oxide before being finished with a combination of iodine and bromine. 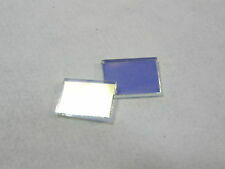 Finally, the metal plate was buffed. Most of these boxes sat on a tripod and were made of wood. What is a Brownie camera? George Eastman, who started Kodak, introduced the Brownie to the market in 1900, and, and thanks to its low cost, 150,000 units were sold during its first year. This cardboard box camera contained a meniscus lens, and rolls of 117 film that produced 2.25-inch square photos were sold for it. Later Brownies took different size film. In 1905, the first 35mm was introduced. It was made of mahogany wood and contained two plano-convex lenses in a brass barrel along with offering four f-stops. 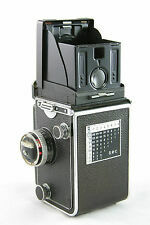 Users could decide how much perforated film they wanted to put into the film camera. Soon SLRs were introduced, paving the way to DSLR units. What was the first instant camera? The first instant camera was invented in 1923, allowing people to take a photo and fix it in the box. It was not until about 20 years later, however, when a Polaroid was introduced to the market, allowing people to take an image and wave it in the air for a minute. 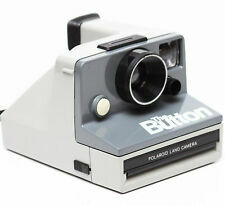 Soon, instant photography units were found in just about every home. How do you choose a retro camera? There are many different ways to start collecting retro units. Decide on what you want to collect- There are countless choices available. Some people choose to specialize in one format while others create a more general timeline. Others choose to specialize in units from one company like Fujifilm, Nikon, Canon, Olympus, Leica, or Kodak. 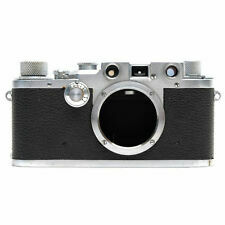 Do your research- Know the types of old cameras available in your specialty. Compact cameras that were highly reviewed when they were released or were released in limited numbers make great collectors' items. Consider condition- Working retro models are often more highly prized than non-working models. Therefore, make sure to check out the camera's components including shutter, lenses, sensor, and viewfinder. If accessories like lenses are included, then check that they work too.